I found this video rather strange as to what we were looking at on Pluto . Hope you can get an mp3 of the show...? I missed it. Quote: The team studied samples from Martian meteorites and realized that an overabundance of rare metals—such as platinum, osmium and iridium—in the planet's mantle required an explanation. Such elements are normally captured in the metallic cores of rocky worlds, and their existence hinted that Mars had been pelted by asteroids throughout its early history. By modeling how a large object such as an asteroid would have left behind such elements, Mojzsis and Brasser explored the likelihood that a colossal impact could account for this metal inventory. With Two possible Planet X's out there...RCH is still in the game. 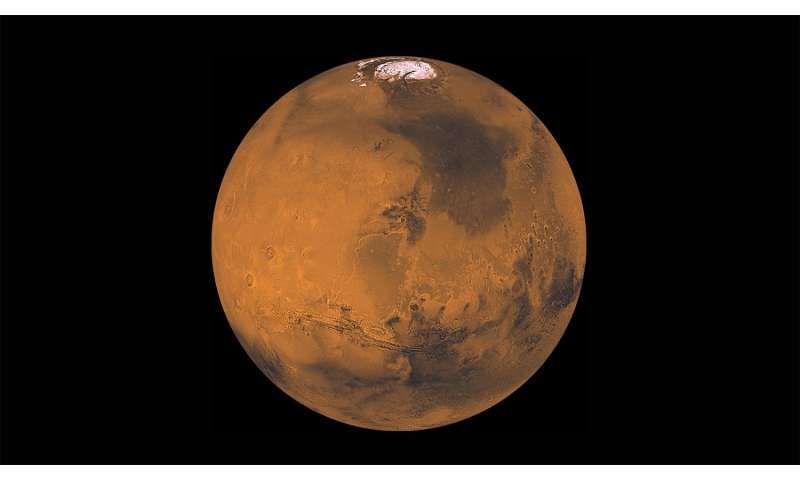 New research by University of Colorado Boulder professor Stephen Mojzsis outlines a likely cause for these mysterious features of Mars: a colossal impact with a large asteroid early in the planet's history. This asteroid - about the size of Ceres, one of the largest asteroids in the Solar System - smashed into Mars, ripped off a chunk of the northern hemisphere and left behind a legacy of metallic elements in the planet's interior. The crash also created a ring of rocky debris around Mars that may have later clumped together to form its moons, Phobos and Deimos. "We showed in this paper—that from dynamics and from geochemistry—that we could explain these three unique features of Mars," said Mojzsis, a professor in CU Boulder's Department of Geological Sciences. "This solution is elegant, in the sense that it solves three interesting and outstanding problems about how Mars came to be." Astronomers have long wondered about these features. Over 30 years ago, scientists proposed a large asteroid impact to explain the disparate elevations of Mars' northern and southern hemispheres; the theory became known as the "single impact hypothesis." Other scientists have suggested that erosion, plate tectonics or ancient oceans could have sculpted the distinct landscapes. Support for the single impact hypothesis has grown in recent years, supported by computer simulations of giant impacts. Mojzsis thought that by studying Mars' metallic element inventory, he might be able to better understand its mysteries. He teamed up with Ramon Brasser, an astronomer at the Earth-Life Science Institute at the Tokyo Institute of Technology in Japan, to dig in. The team studied samples from Martian meteorites and realized that an overabundance of rare metals—such as platinum, osmium and iridium—in the planet's mantle required an explanation. Such elements are normally captured in the metallic cores of rocky worlds, and their existence hinted that Mars had been pelted by asteroids throughout its early history. By modeling how a large object such as an asteroid would have left behind such elements, Mojzsis and Brasser explored the likelihood that a colossal impact could account for this metal inventory. The two scientists first estimated the amount of these elements from Martian meteorites, and deduced that the metals account for about 0.8 percent of Mars' mass. Then, they used impact simulations with different-sized asteroids striking Mars to see which size asteroid accumulated the metals at the rate they expected in the early solar system. Based on their analysis, Mars' metals are best explained by a massive meteorite collision about 4.43 billion years ago, followed by a long history of smaller impacts. In their computer simulations, an impact by an asteroid at least 1,200 kilometers (745 miles) across was needed to deposit enough of the elements. An impact of this size also could have wildly changed the crust of Mars, creating its distinctive hemispheres. "The surprising part is how well it fit into our understanding of the dynamics of planet formation," said Mojzsis, referring to the theoretical impact. "Such a large impact event elegantly fits in to what we understand from that formative time." In the future, Mojzsis will use CU Boulder's collection of Martian meteorites to further understand Mars' mineralogy and what it can tell us about a possible asteroid impact. 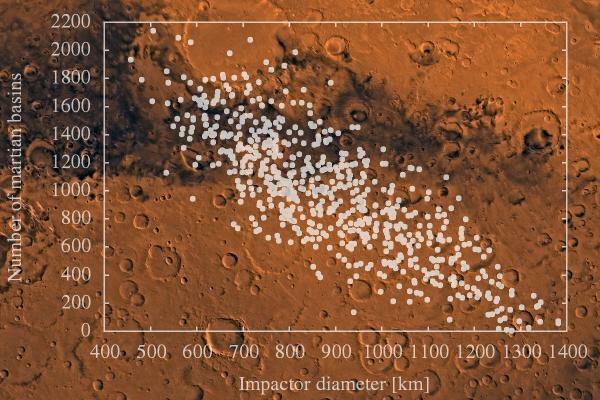 Such an impact should have initially created patchy clumps of asteroid material and native Martian rock. Over time, the two material reservoirs became mixed. By looking at meteorites of different ages, Mojzsis can see if there's further evidence for this mixing pattern and, therefore, potentially provide further support for a primordial collision. 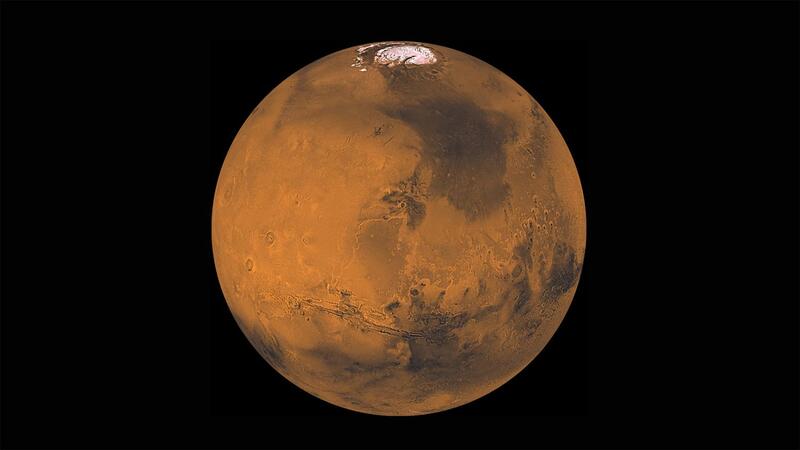 "Good theories make predictions," said Mojzsis, referring to how the impact theory may predict how Mars' makeup. By studying meteorites from Mars and linking them with planet-formation models, he hopes to better our understanding of how massive, ancient asteroids radically changed the red planet in its earliest days. was the Ceres sized asteroid then completely destroyed into kibbles and bits of giant asteroid? that they would be bigger moons. that may have later clumped together to form its moons, Phobos and Deimos. Note that they also state that the asteroid was "at least" as large as Ceres. Their science is very interesting and they may be quite correct. and just grazed Mars gouging out the northern plains chunk in question. The impact ricocheted Mars off into it's elliptical orbit. Current time: 04-20-2019, 11:38 AM Powered By MyBB, © 2002-2019 MyBB Group.